A score of good news all around for John Wick fans today—and really, who among us who loves action cinema isn’t a fan of Keanu Reeves’ best franchise? The John Wick movies have been a shot in the arm for Hollywood action cinema, a throwback to the John Woo-esque films of the ‘80s and holy grails for appreciators of good action choreography, stunts and practical effects. Compared all the shaky cam you’ll see in the latest Liam Neeson action movie, pretty much anything related to John Wick is a godsend. The first and most important thing to report is that director Chad Stahelski is back for a third installment, right now simply known as John Wick 3, but presumably eventually to be titled John Wick: Chapter 3 if it’s following the previous film’s naming convention. Stahelski co-directed the first movie in the series, before taking on the second solo, which did not lose a beat. Principal photography is reportedly scheduled for March 1 in NYC, with additional potential filming in Spain and Russia. Second most important is the confirmed return of a bevy of supporting players, including Cassian (played by Common) and the Bowery King introduced in Chapter 2, played by Laurence Fishburne. Also apparently returning is Ruby Rose’s mute bodyguard character Ares—more unexpected than the others, considering that she seemed pretty good and dead at the end of Chapter 2, following a knife fight with Wick. New to the series will apparently be Hiroyuki Sanada as primary vilain, “the head of a Japanese crime syndicate.” Reeves and Sanada previously starred together in 2013’s disastrous box office bomb 47 Ronin, but the less said about that film, the better. When Chapter 2 left off, John had just finished severing ties with an alienating the entire international assassin community, effectively marking himself as a wanted man with a huge bounty on his head to every hired killer in the world. 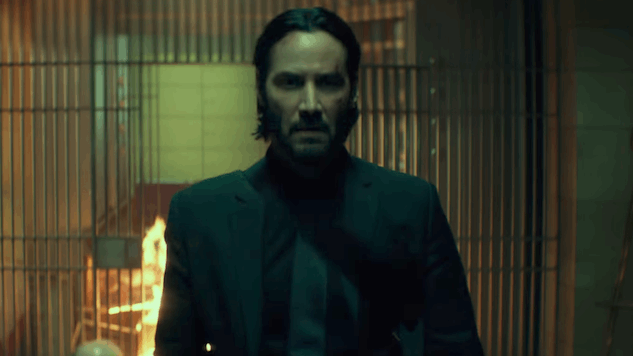 We can only assume, then, that John Wick: Chapter 3 will be the be-all, end-all conclusion to the series, with “Baba Yaga” taking on the entire world at once. We’d be lying if we said we didn’t want to see that as soon as possible.